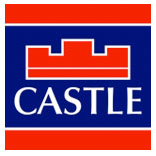 At Castles we pride ourselves at been the best small estate agents in Dublin, we certainly know how to get the job done in a tough market. We have more listings than any other single office in Dublin, we must be doing something right. Don’t forget, if we don’t sell your property, we don’t charge a fee. We also have lettings now and again and always try to achieve the best possible prices with the least stress for our Landlords. We also deal with both commercial sales and lettings and always welcome new clients. One of our main selling points is that we offer free valuations for families and family law. If you need a valuation, please get in touch with us to arrange. We never charge for Probate Valuations or Valuations for the Fair Deal Scheme. We know that this could be a very emotional time, it’s never easy dealing with these things and we just want to help in whatever way we can to make your life easier. Please contact us via email or phone and one of our agents will be in touch to organise this for you.